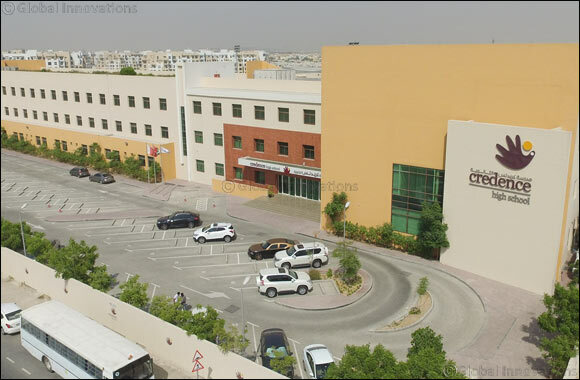 DUBAI- February 2, 2019: Credence High School, a ‘GOOD’ rated CBSE curriculum school which is home to students from over 30 nationalities, will host the fifth edition of the annual UAE Quiz Masters Tournament, the largest inter-school quiz competition in the UAE on Thursday, February 7, 2019, in the auditorium of the sprawling campus of Credence High School. Following the success in the previous editions, the nation-wide Quiz Masters Tournament is inviting participation from schools all across the UAE. All schools from UAE are invited to register by February 6, 2019. Children from Grades 8 to 10, aged 13 to 16, can apply. The fifth edition of the UAE Quiz Masters Tournament is supported by Fabyland, premier family entertainment destination in the region. Mr Adittya Nath Mubayi would be the quiz master. Mr. Mubayi is a highly respected knowledge entrepreneur, author and quizmaster from India. He has conducted close to 3500 quiz shows across the world and has led research teams for television programs including the BBC Mastermind India and Kaun Banega Crorepati. In the Quiz Tournament, participating schools are allowed to send a maximum of one team each. Each team comprises of three students. The preliminary sessions of the quiz will begin from 9 am. The theme of the Quiz is sci-tech edition of The UAE Quiz Masters Championship 2019 collaborated with the UAE agenda of the year 2019 - ‘Year of Tolerance’ with its overarching theme ‘Science & Technology in the Atomic Age’. The event will begin with written eliminations and will gradually move towards the top eight teams in the semi-finals, and eventually the top four in the finals. Winning and Runner Up schools will take away the Rolling Trophies besides a few giveaways will be presented to the participants.